Like I said in the previous post, there wasn’t much left of these smaller towns, it was late, well past midnight, in essentially the middle of nowhere. We pulled over at the only store that was open only to wake every hour as someone would pull in for only a few minutes. After some morning caffeine and a look at a map to see exactly how far we had to go, we started towards the campgrounds. Our goal was to find one where the lil one and I would be comfortable while daddy was away volunteering; they were a bit stricter up this way on her helping out due to insurance restrictions. Now to find a place to land for a bit that had a few of the things we were looking for. We found a place that had openings, one of the many drawbacks was that the only available sites were not pull thru’s, but with a confident hubby, what could stop us? When we looked at the incline, it didn’t seem so bad, but ol’ Blue wasn’t having any of it. 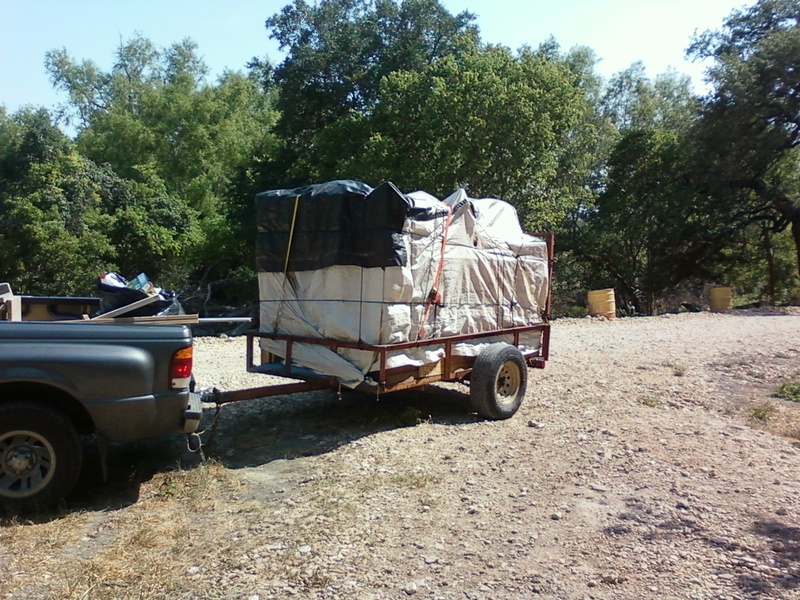 After about a gallon of transmission fluid and 30 min of yelling, hand signals and maneuvering the rig, we decided this site was not for us, it just wouldn’t push the load backwards up the hill. The only cell phone signal was about ½ mile away at the top of the hill, no cable, only water and electric hookups at the sites, but on the bright side Bear creek hadn’t flooded as high up as our camper was sitting, only as high as the road in front of us. Unfortunately we had to go further down the road, for us this meant pulling the 26ft fifth wheel with the extra-long 4 door LWB truck all over town, no cell phone towers left meant no service to call them. 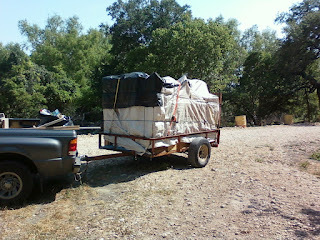 The frustrating part was that I was behind the camper in the Ranger pulling a 8ft trailer that was as tall as it was long, unraveled tarps tied over it with 500 ft. of ropes, making it look like whiskers after days on the road, this was that extra storage stuff we thought we just couldn’t live without having later on. The next campground had everything you could think of, shade trees everywhere, by the water, full hookups, it was a dream after the week we’d just had. Only problem here was no cell phone service, but I could live with that for a while, and no sites available for the next month. Well shucks, time to hit the road again. This time we stopped in at a gas station and asked if there were any places in the area they knew of. They didn’t know of any that would have spots open, but gave us a map to the campgrounds in the county, and we had cell service here. We started calling, and none had openings close to the devastated areas hit hardest by the tornados.